Ladies—yes—it’s all about the espadrille this season! Espadrilles are the new flip flops and they come in an array of colors, styles and price points to please everyone. The variety is overwhelming and yet at the same time so much fun—flat espadrilles, canvas espadrilles , leather espadrilles, flatform espadrilles, ankle-straps espadrilles, lace-up espadrilles, open-toe espadrilles, wedge espadrilles, etc. etc. etc—okay you get my point. There is a style out there for everyone and they are easy to style as well. 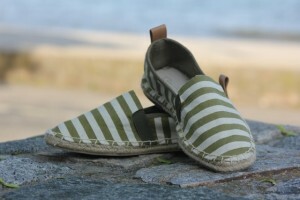 They can easily be worn with your summer shorts, skirts, dresses, pants, and jeans for a casual chic look. Next Post What’s your 4th of July look? So much more stylish than flip flops. Great to see so many varieties showcased here. Are espadrilles always flat? When I searched for some on Zappo’s several of them looked like a hybrid between espadrilles and wedges? Yoana,- Yes, espadrilles are normally flat but they are also offered in high-heeled wedges. 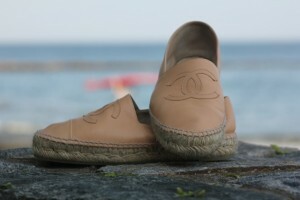 What differentiates an espadrille from another casual shoe is that they have a flexible sole made of jute rope. The jute rope sole is the defining characteristic of an espadrille, not the height of the heel. Please note that the uppers vary widely in style. Thank you for your question!